Today I seriously recognised the power of data validation. 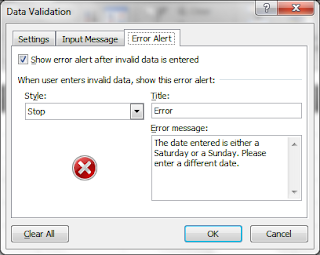 I was stuck in a situation wherein I had to create a template wherein the user needs to enter a date, however it the date cannot be a Saturday or a Sunday. After a brief "R&D", I realized using "data validation" was the apt option. 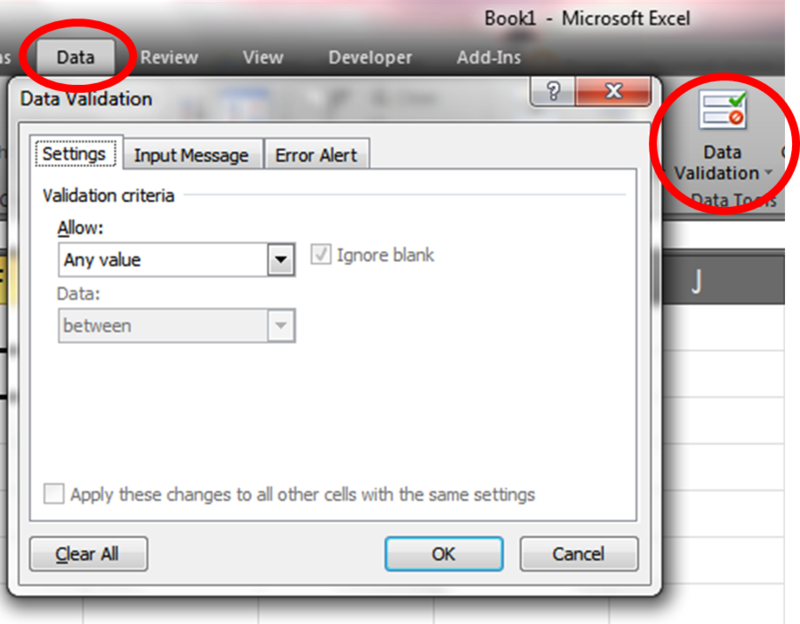 In the new field "Formula", just enter the criteria you want to achieve. 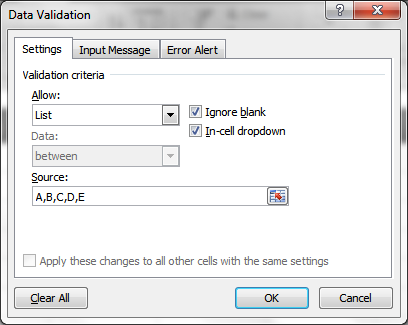 In my case, I used "=WEEKDAY(A2,2)<6"
So, now the desired cell is validated and user can only enter a weekday. 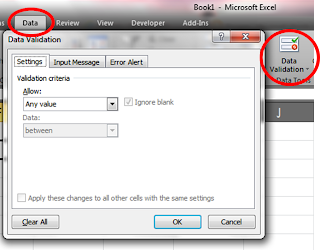 Just mention the options you want in your drop-down list under the "Source" field separating with "commas". In the picture above, the drop-down list would be list of alphabet from A to E.
"Weekday" functions returns the serial number of the given date in a week. 2 :1 (Monday) through 7 (Sunday). 3 :0 (Monday) through 6 (Sunday). 11 :1 (Monday) through 7 (Sunday). 12 :1 (Tuesday) through 7 (Monday). 13 :1 (Wednesday) through 7 (Tuesday). 14 :1 (Thursday) through 7 (Wednesday). 15 :1 (Friday) through 7 (Thursday). 16 :1 (Saturday) through 7 (Friday). 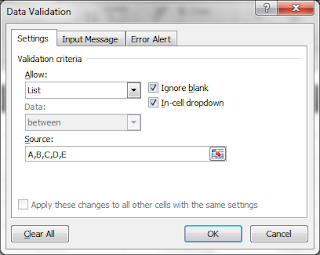 As the study on myessayslab shows, data validation is very important. But I need to learn it properly cause I still don't understand it.